I have a few month’s from when I’m thinking what to do with my life .. Which road to go ? , Which way to chose? The thing is that in this month’s lots of things happened. I worked half year in a cinema. I almost learned a song to play at ukulele. I moved to United kingdom. I let my hair grow and now it is at a long length. I paid all my debs. 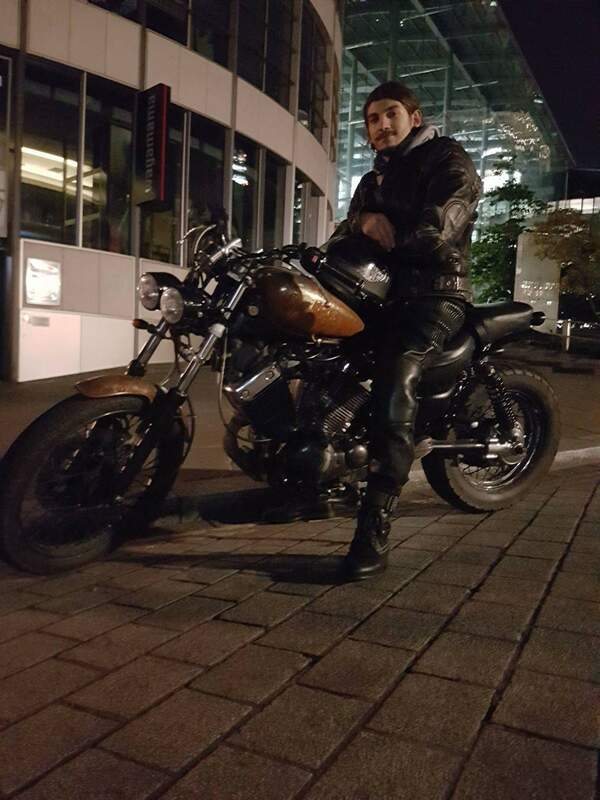 I achieve a big dream, I bought a motorcycle. New phone. Motorcycle clothes, everything I needed. I helped one friend to came in UK. I went to a boat party were we shouldn’t because it was just for Lloyd’s employees but we managed to get in. I went to a party in a big club. I meet some nice girls . Im letting my beard grow. I had a motorcycle accident. Lots of things happened and most of them in London hahha. The thing is that I don’t know if I’m gonna write anymore.. This may be one of my last posts.. These days I‘m thinking a lot of traveling ..
Travelling around the world sounds good for me. I know .. I want lots of things.. but .. it’s my life so I can wish how many things I can. The thing is that I’m putting some money on side for “The big trip” .. We gonna see, the big trip it should be in 8-10 months from now. I’m excited already haha ha. But before “The big trip” I want to see Malta for a few days , I hope that I’m gonna achieve this goal in January 2017. This blog is like a dairy, I’m writing for myself but feedback is very welcomed.